- What do I own? - What is it worth? - How do I protect it? ""Ellen is brilliant, creative, generous, thoughtful, sincere, successful and has a high level of integrity and probably most important...she genuinely cares about the success of her clients. I started as a client of Ellen's law firm on a few business deals and she not only helped us protect our intellectual property ideas but she also suggested ways to turn that IP into profit centers for our businesses. Ellen is incredibly well connected and is constantly looking to introduce her clients to other high level people who will be a good fit for building their business/ideas. Ellen is now our manager and agent as well as our lawyer and her ability to see possibilities, use her vast and powerful network to make introductions, and then make win-win deals is unparalleled. I am honored to consider Ellen a business associate and more importantly a friend. You won't find a classier person on the planet than Ellen." 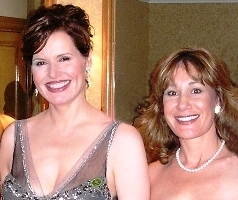 "I've been lucky to know Ellen Stiefler as a friend for more than 20 years. Ellen is one of the few lawyers I know who combines a great heart with a great mind. Her ability to develop strong personal relationships with clients is unique in her profession. It's the basis for the strong bond of trust that exists with each of the clients she represents"
Leslie S. Biller, Vice Chairman and Chief Operating Officer, Retired, Wells Fargo & Company, Director, PG&E Corp., Knowledge Schools, Inc. and Ecolab, Inc.
"Ellen has sincerity, caring and a passion for us to succeed. Ellen is a team player; she's in it for everyone to win. It's not just words...it's from her heart...and it's much more than money can buy. She goes beyond the call of duty. She plays full-out and gives full out! Ellen is an outstanding attorney - very knowledgeable and wise. Beyond her extensive legal background, she brings something you can't buy which is intuitive wisdom. We feel honored and excited to have Ellen in our life. She exceeded our expectations. She is more than an attorney; Ellen's a wise sage. If we need another attorney on our team, the first person I would check with would be Ellen. Ellen would be my top-level legal advisor. If she couldn't handle our needs herself, she would find the best in the business for us." Ken Foster, Best-selling author of Ask and You Will Succeed; CEO, Shared Vision Network. "What took a nationally-recognized law firm a year and a half to not get right, took Ellen three months to repair and accomplish. Ellen not only knows the law, she also figures out how to make the best use of the law. She has a level of integrity and competence that is beyond anything I've ever experienced. " Steven Collet, CEO, Collet Investments; CFO Landmark Metalcoat Inc. and Tribilis Inc.
"Ellen brings her intelligence, legal expertise and heart into it. She seems soft, but she is smart as a tack. She is both kind and tough…which is an amazing combination and one that you want to have on your side." Ellen Reid, award-winning Book Shepherd; author and independent publisher. Welcome to the Transmedia Agency and the Stiefler Law Group where our mission is to nurture, protect and promote our client's ideas, talent and properties to benefit the world. Ellen helped pioneer the concept of "Transmedia" and helps her clients bring out their stories and talent in all media to become bestselling books, feature films, documentaries, scripted and unscripted television, videogames, online companies, merchandise roll-outs, and many other transmedia projects. Ellen brings together a unique combination of skills to help her clients. As an attorney, she identifies and protects the necessary intellectual property rights (copyrights, trademarks, trade secrets, etc) for her clients. Then, as their manager and talent agent, she orchestrates their career development and helps secure the best opportunities for their unique voice. In her literary and theatrical agent role, Ellen structures and negotiates win-win movie, television, Internet, and all manner of deals, from conceiving and pitching the production, to handling the contracts, releases and rights issues. "I love working with Ellen. She is one of the nicest, brightest and most interesting people I have ever met, and she has unquestionably been the perfect agent/attorney for me. I'm the kind of person who believes that if I am open, listen carefully and remain prepared, the perfect opportunities will come my way. After I delivered my TED talk in 2008, I was in desperate need of finding the perfect person to help me navigate my professional life, Ellen stepped in and guided me through the process with ease and grace. She helped me reel in a great book deal, and during the negotiations she remained steady and calm throughout the process. Even when the waters got wild, Ellen's temperament remained even keel. My Stroke of Insight is now being developed into a feature film, and this would not have happened if were it not for Ellen’s patient and yet persistent nature. With Ellen’s guidance, we built the team we wanted to have before we approached the studios. Gaining access to Jodie Foster and the folks at Imagine Productions were our first and second steps. Ellen advised me to hold on to all the rights until we knew we had the team we wanted to work with in place. Although we are still in the development phase, we feel like we did everything we could to create the most amazing film. Who could ask for more than Ron Howard? Ellen is always just a phone call or email away when an issue arises that requires her expertise and professional touch. She very graciously takes care of all the legal issues that come my way and for her continued efforts on my behalf, I will always be grateful. I can also only begin to express how perfect it is (and how much money she has saved me on attorney fees) that she also brings to the table her expertise in Intellectual Property rights. She has negotiated tricky international documentaries, a ballet contract and done a great job keeping me legal in various transMedia projects. If you are looking for an agent who is effective, well connected and always pleasant to interact with, Ellen is an optimal choice. Above all else, she has integrity and is the kind of human being I want to do to business with." 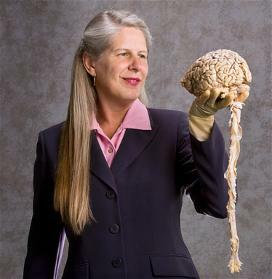 Dr. Jill Bolte Taylor,NY Times Bestselling Author, My Stroke of Insight: A Brain Scientist's Personal Journey, and one of TIME Magazine's 100 Most Influential People in the World for 2008. 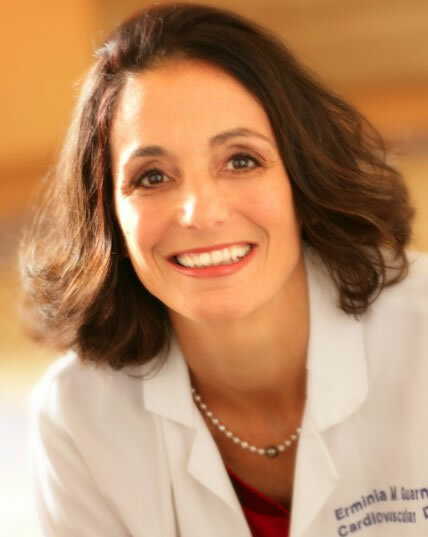 "Dr. Baldwin is committed to improving health and wellness and is especially active in motivating youth and teaching kids habits for a healthy life. He serves as an advocate for Let's Move, the campaign headed by First Lady Michelle Obama and assisted the U.S. Surgeon General with Healthy Youth for a Healthy Future. Andy is active in charitable and humanitarian efforts. He used his fame from The Bachelor: Officer and a Gentleman to establish the Got Your Back Network charitable foundation to help the families of our fallen heroes. 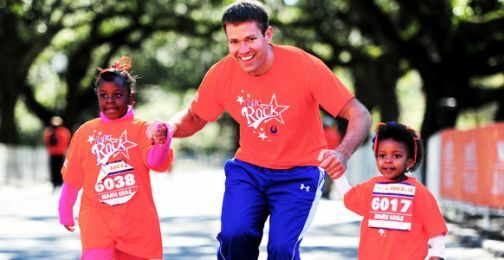 Andy also is an 8-time Ironman triathlete and serves as Ambassador to the Competitor Group & ING New York Marathon and KidsRock. About Ellen, Andy says: "I met Ellen at a TED conference and with her dynamic personality, passion for helping others, and overall zeal for life we immediately became close friends. Ellen helped me in ways other agents or managers have not been able to. She was able to understand my complex range of abilities and maximally develop my brand around them. In addition to her skills as a lawyer, businesswoman, connector of brilliant minds, Ellen is a person of integrity who truly strives to make the world the better place each and every day. I am honored that she serves as an active board member and legal advisor on my foundation that assists families of fallen soldiers. friend - a friend that I can trust." For 30 years, Ellen Stiefler has protected and promoted the rights of individuals and businesses covering a wide range of transmedia including entertainment, the media, Internet, technology and business. 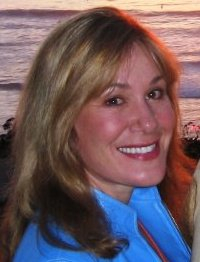 Ellen is the force behind many bestselling books, movies and television projects, and has earned the trust and confidence of her clients and the respect of her peers for the professional excellence, integrity and uncompromising quality of her professional services and for delivering exceptional service for fair value. 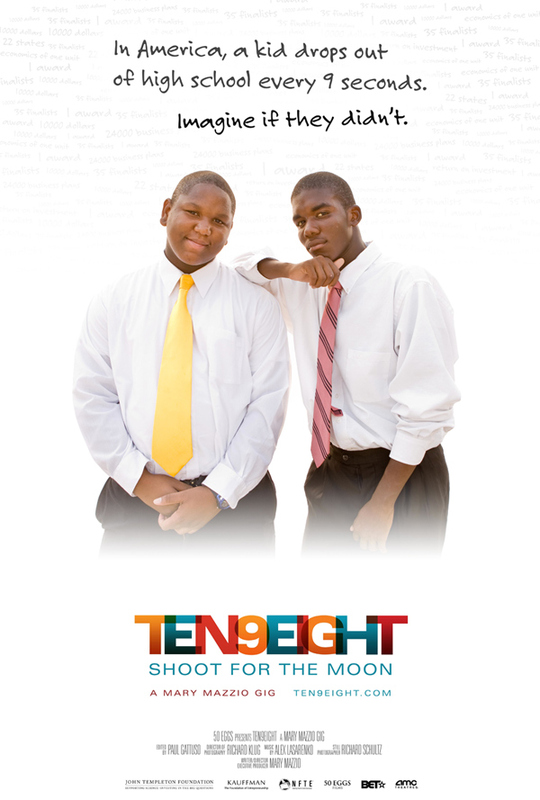 TEN9EIGHT is "the most inspirational heartwarming film you will ever see," says Pulitzer Prize winning author Tom Friedman in his NY Times column. "Obama should arrange for this movie to be shown in every classroom in America." 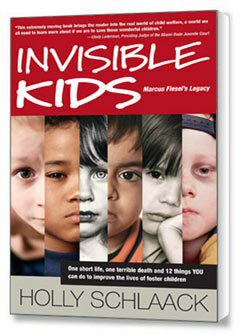 In America, a kid drops out of school every 9 seconds. Imagine if they didn't. This is the compelling question behind award-winning filmmaker Mary Mazzio's newest project, TEN9EIGHT, a thought-provoking film which tells the inspirational stories of inner city teens (of different race, religion and ethnicity) from Harlem to Compton and all points in between as they compete in a business plan competition run by the Network for Teaching Entrepreneurship. "Ellen Stiefler helped us negotiate our most recent broadcast deal – and she was terrific. Detail-oriented, calm, diplomatic – and when it looked as if an issue might have prevented the deal from closing, Ellen made it happen. Ellen is the consummate professional – she makes you feel as if you are her most important client – and approaches issues and problems in a creative problem-solving manner. I loved working with her." With a legal practice specializing in intellectual property, transmedia, e-commerce, entertainment, media and business transactions, an agency practice turning her clients' creative properties into books, movies, television, stage, music and transmedia of all kinds, and personal management services that nurture, promote and protect her clients in all aspects of their careers,Ellen gives the best of her care and attention to her clients for their success and well-being, whether they are individuals, entrepreneurs or businesses. 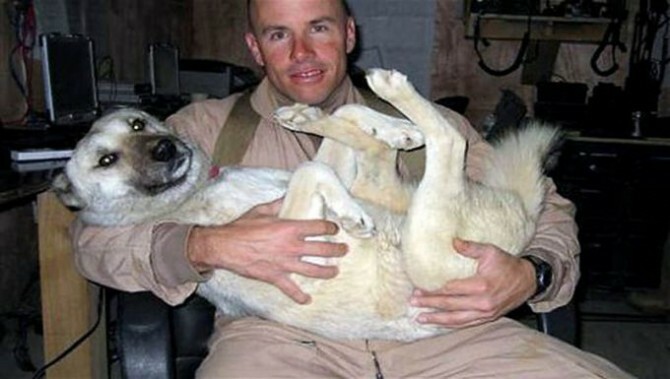 Movie:Warner Bros. acquired the rights to make the real life dog story of US Marine in Iraq and his dog "Nubs".Justin Zackham, writer of Jack Nicholson's The Bucket List, will write and produce. "I have had the good fortune of working with Ellen. In addition to being creative, responsive and always available, Ellen makes you feel as if you are her only client. Ellen finds opportunities and brings them to fruition. She has my full trust and I know she is looking out for my best interest." MojoPages® is an Internet yellow pages directory meeting the huge demand for online local search. MojoPages features Web 2.0 tools, peer reviews, community interaction and special features that set it apart from Yelp and Google. Click here to visit MojoPages. A Woman As President: "Commander in Chief"
"Ellen believed in me and masterfully guided me though every twist and turn of my career with the same attention and assistance she gives to her high-powered clients. Despite Ellen’s impressive list of clients and successes, she treats every detail of my book and every new step in my career as the most important things in the world. That speaks volumes about her integrity and the value she places on relationships. I could not be in better hands and am grateful every day for Ellen and all she has done for me. Working with Ellen has been a tremendous honor and an absolute joy." "It is a joy and honor to work with Ellen and be on the receiving end of her vast knowledge, genius representation, and sound advice. She endlessly uses her talents and gifts in the service of furthering the success of her clients and the evolution of good in the world. She is brilliant, attentive, and kind. But those are not even the best things about Ellen Stiefler. I read once that good agents don’t just land book deals: they build careers. This is exactly what Ellen Stiefler has done since she took a chance on me, a tentative first-time author with a passion and a mission. She successfully helped me bring a book into the world while building my reputation as a dynamic public speaker. No detail is below her masterful touch and the sky’s the limit when it comes to possibilities. Ellen treats her clients as if their successes are her own. It's like having an attorney for a partner. She is brilliant, attentive and fun, and the most available and responsive lawyer I can remember." "Ellen is a terrific lawyer, agent, manager. It is an honor to recommend her. She is very professional, a go-getter and an excellent communicator. Ellen gets amazing results. Ellen managed to get me a better infomercial deal than I was going to sign. She got acceptance on every point in my favor, which in my experience rarely ever happens. She also provided excellent turnaround time. None of the other attorneys I have worked with impressed me as Ellen did. I would look to Ellen for any kind of legal service. On a scale of 1 to 10, she is a 10. " "I have never had this feeling about an attorney before as I have about Ellen - where I wanted to so proactively involve her and solicit her involvement and where I can't wait to hand all our work over to her. Ellen showed up with so much more than we expected - she blew the scale away! By our third meeting, we said: Ellen has to be doing everything for us and taking the lead." Ellen gives top quality legal and business knowledge, and has a depth of contacts, background and experience. She really cares about us - and it was not about the billable hours. She was willing to support us in ways far beyond our expectations, and she did it in such a non-attorney way. Right from the beginning, Ellen was humble, caring, warm-hearted, and sincere, going against the stereotypical image of most attorneys." "Ellen has the rare gift of thinking like a creative entrepreneur with the discipline of an attorney. With Ellen, you get much more than an attorney; you get an experienced business person. Ellen helped me to a solution that saved me money and literally 3-6 months time, plus she got me there quicker than I was heading to with anyone else. Ellen engages in a dialogue, not a monologue – and that is huge! Not only are Ellen’s questions great, she listens! She is quick and to the point, but she speaks to me like a human being, eye to eye, never trying to intimidate with her knowledge and expertise. Her questions are insightful and helped me focus. She guided me with a trusting, thoughtful approach." 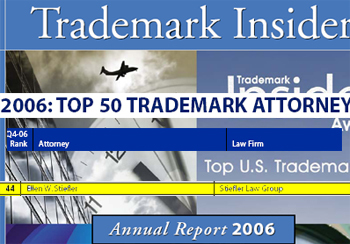 © 2003-2010 Stiefler Law Group, PC. All rights reserved. Website Design by iSynergy Webdesign.